Hello, friends! 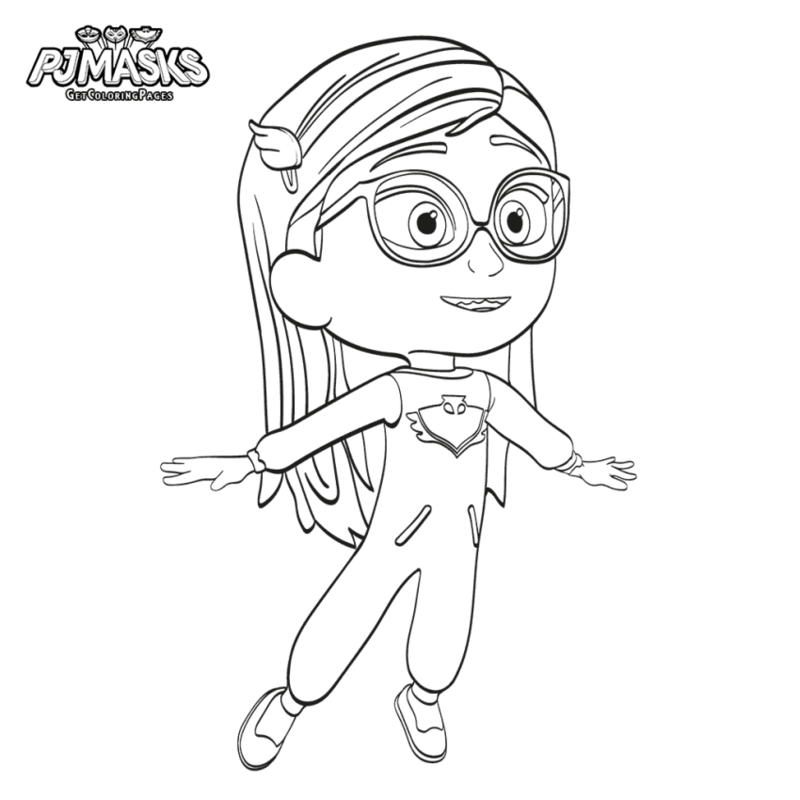 Today we’ve got you coloring pages of one of the most popular ongoing cartoon series “PJ Masks”. This series debuted in September 2015 and soon went on to become a favorite of children. 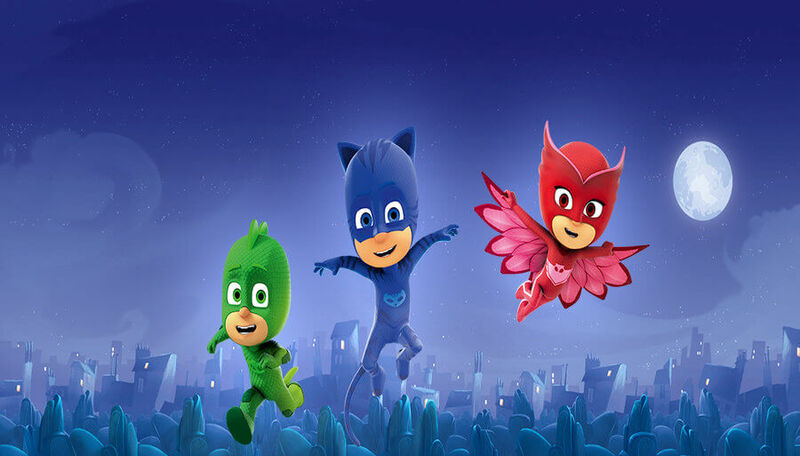 “PJ Masks” is fundamentally based on “Les Pyjamasques”, a French book series, in which a trio of young kids saves the city from the bad guys after nightfall. Since the series is a major hit with children, we decided to a compile a gallery of coloring pages on it. 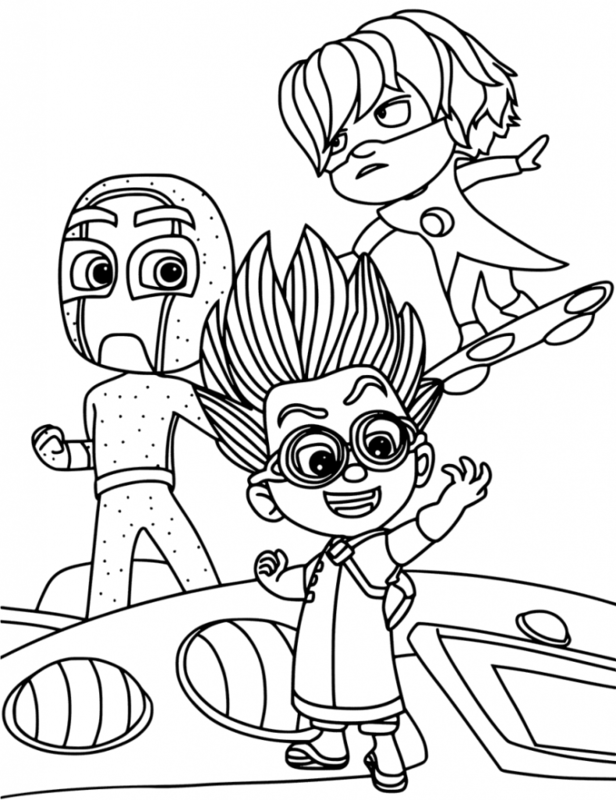 Below you will find unique and beautiful printable PJ Masks coloring pages of Connor, Gekko, Amaya and other lead characters. So take a look! We’re starting the list with the most important coloring page of this roundup. 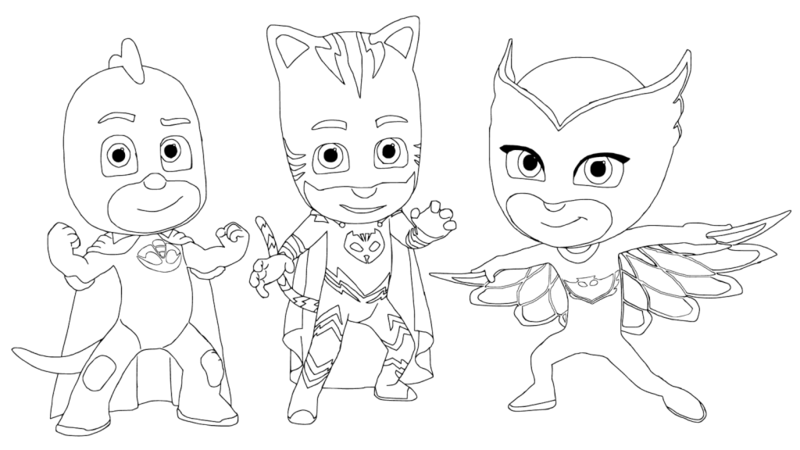 It features the leads of PJ Masks series- Greg aka Gekko, Amaya aka Owlette and Connor aka Catboy. These three characters are the pillars of the series. 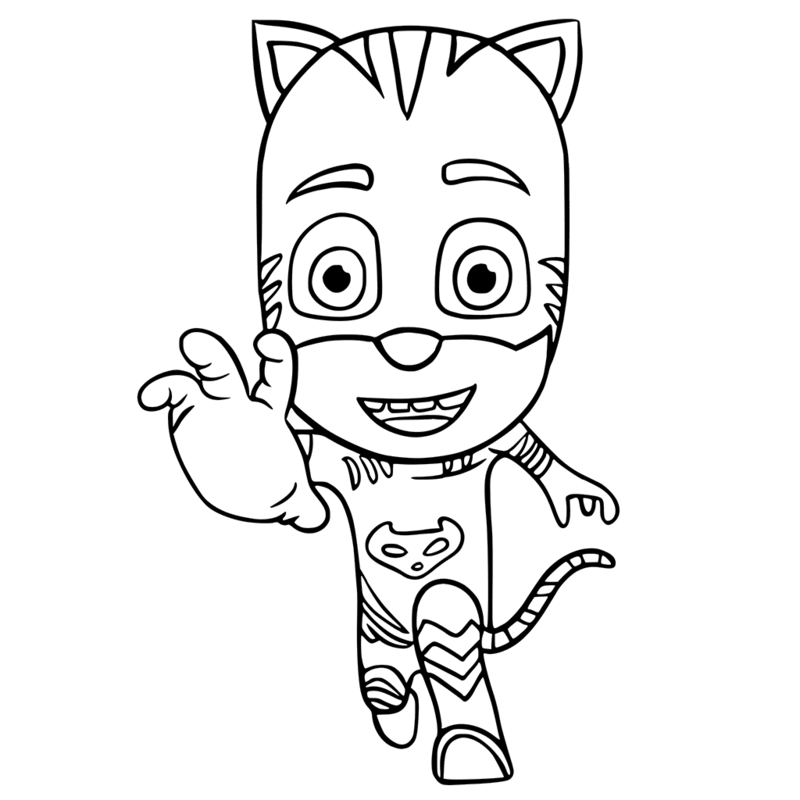 Here’s the coloring page of Catboy, the leader of the PJ Mask’s gang and the eldest among the trio. He’s agile, fast and possesses the ability to hear even the quietest of sounds from farthest distances. The only concern with him is that he’s extremely afraid of water. The cute, little PJ Mask member you see here is Gekko, the master of camouflage. Gekko, with his Gekko mobile, is always up for some action in the series. Meet Owlette, the third of the PJ Masks members. She isn’t just the only female member of this team, but also the only member capable of flying, which explains her name ‘Owl’ette. Owlette has an incredibly sharp mind and superb planning skills. Just a flap of her wings sends the bad guys flying in the air. Here’s a coloring page of Gekko, in his original form, as Greg. Greg has a slightly competitive nature but finds hard to be as confident as Gekko. Nevertheless, Greg is friendly, helpful, shy, but very funny. 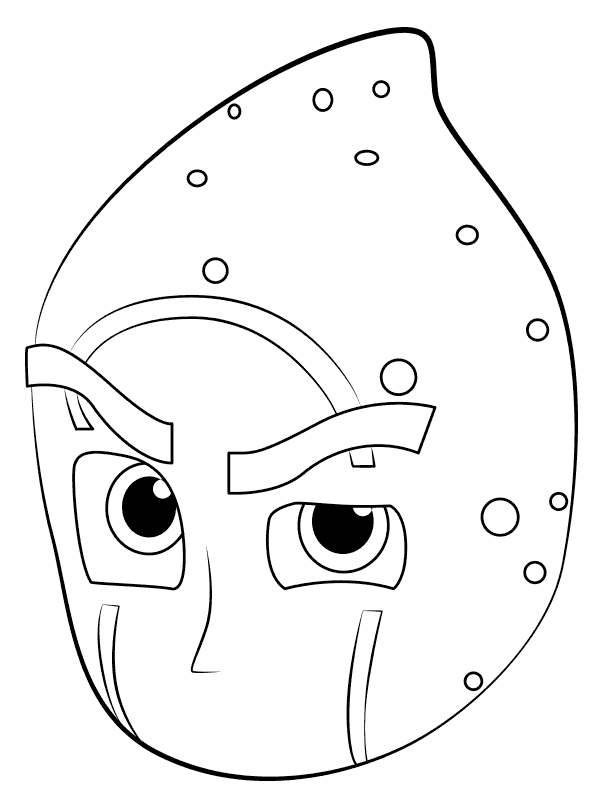 Can you guess this superhero by this coloring page? Those who can’t, it’s Catboy, who goes by the name Connor. Connor can be a bit clumsy at times, but he’s incredibly smart, caring, friendly, funny and helpful. This is the real Amaya, which we all absolutely love! Amaya can a bit impatient at times, but that can be overlooked, considering she has so many skills and talents. She even tends to be a bit selfish at times. But despite everything, she cares for Connor and Greg tremendously. Here’s a side by side coloring image of Connor as Catboy. As Connor, he appears in the teal shirt over a white T-shirt, light blue pants and red shoes. And for bed, he wears pajamas with blue shirt, which has a cat symbol in the middle. But when he’s Catboy, he dresses up in a one-piece suit, which has a tail and light blue lines. 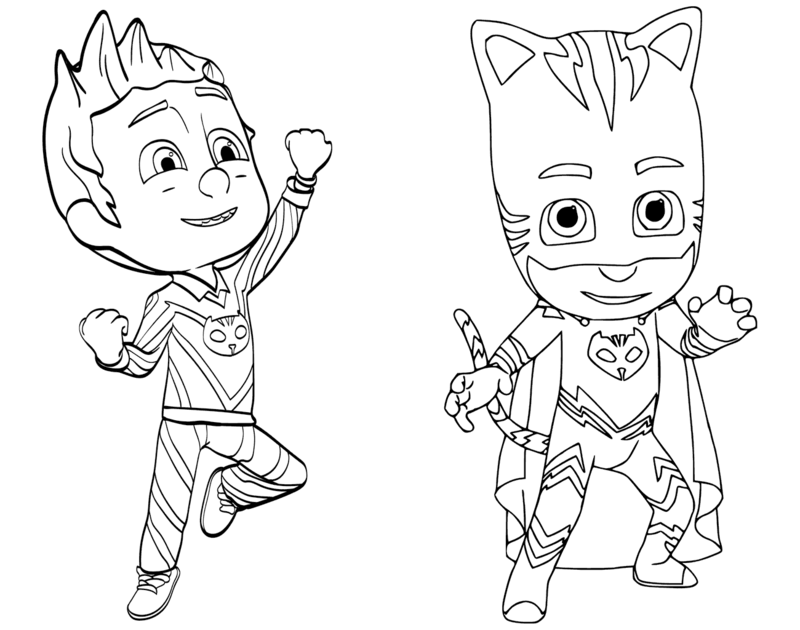 Here’s a side by side coloring page of Amaya and Owlette. Here, Amaya is featured in her red, onesie pajamas, which has a pink owl symbol in the center, signifying her PJ Mask status. As Owlette, she wears a red, one-piece outfit with a pink cape, which resembles bird’s feathers. 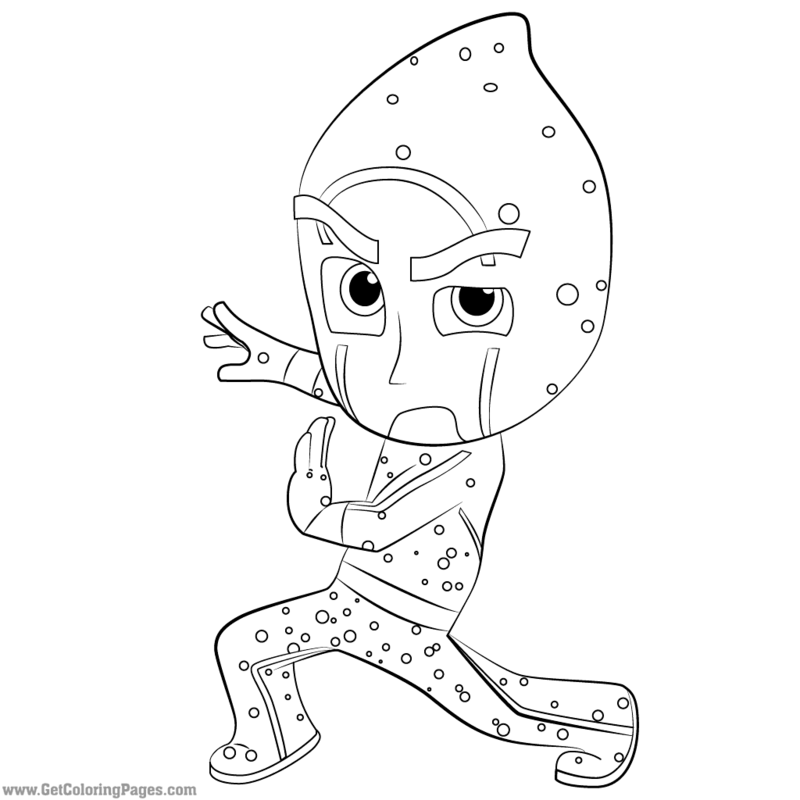 This coloring sheet features both Greg and Gekko. Greg is dressed up in his pajama, which is usually light green colored and a shirt, which has a lizard pattern and his signature symbol. In his superhero avatar, Greg wears a one-piece costume with a tail and frill, which makes him look like a lizard. 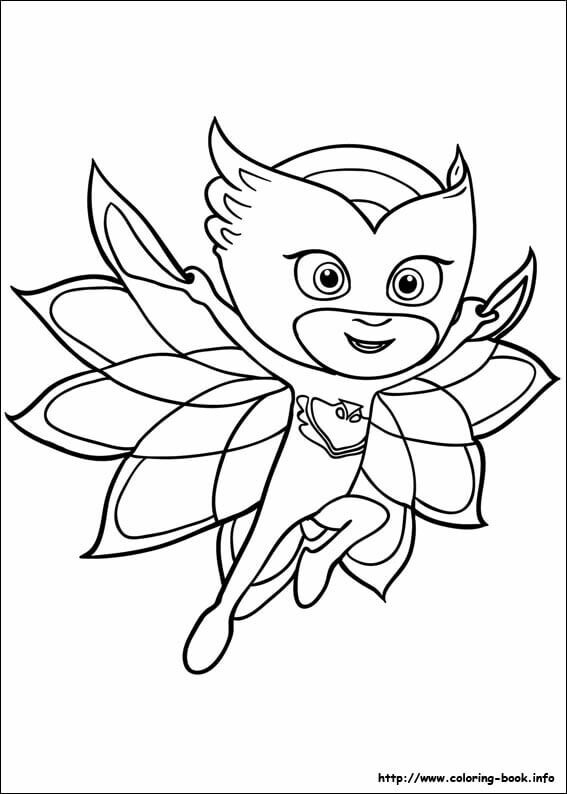 We totally love this coloring page of Owlette. Her feathers are aligning perfectly in this coloring page. 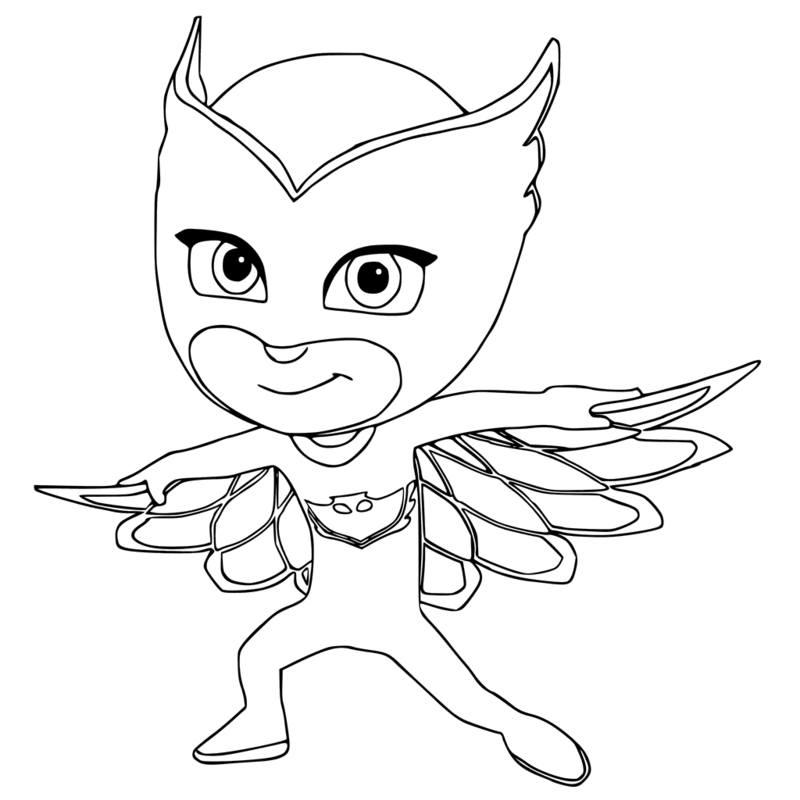 We have a feeling this will be the most loved coloring page of Owlette. Gekko might be the youngest of the lot, but there’s no denying of his brevity. He has been shown several times to jump into danger and save the day with his strong muscles. He can scale the walls and even dive travel underwater in his Gekko-mobile. Catboy is looking so ecstatic in this coloring page. It seems that he has taken down one of their arch enemies. Catboy is a sensible young man, but sometimes, his childlike immaturity overtakes his mindset, causing disruption in the mission. It seems that Owlette has a strange fixation with witches, as seen in the coloring page here. She is always seen with her puppet witch in hand. Why is the group looking so worried? What has gone so wrong that it’s freaking our little superheroes out? 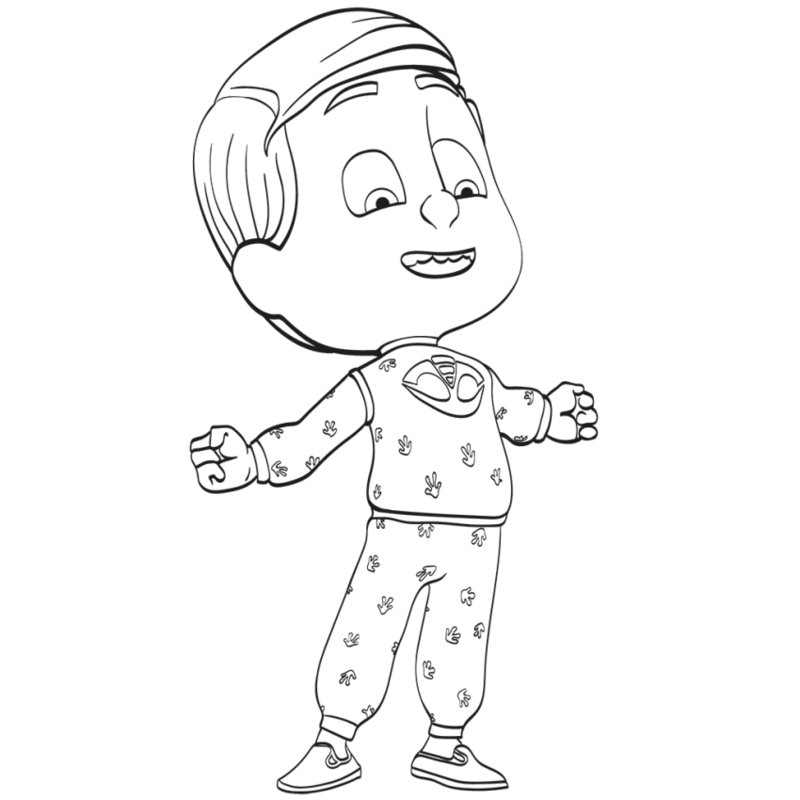 Perhaps our little readers can find out by coloring this image. 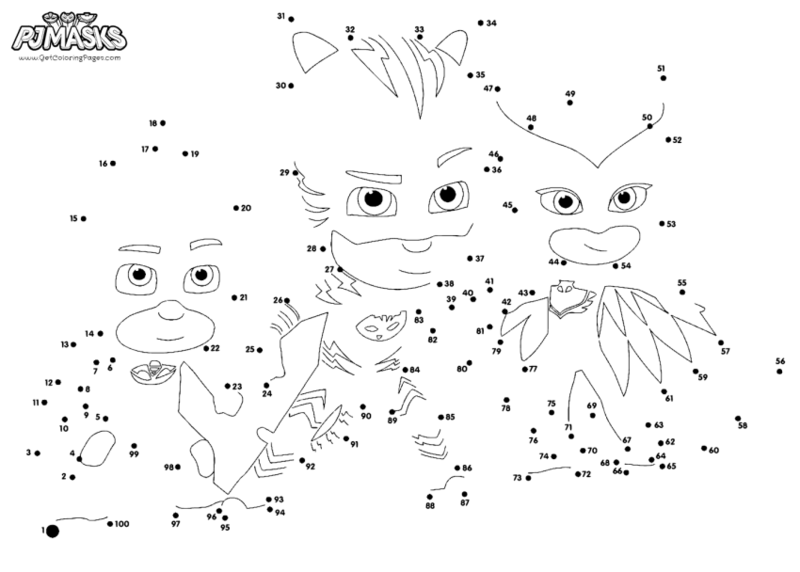 This PJ Masks coloring sheet is absolutely perfect for preschoolers as it involves connecting dots to form the picture. It will help the young ones learn numbers and practice hand-eye coordination simultaneously. 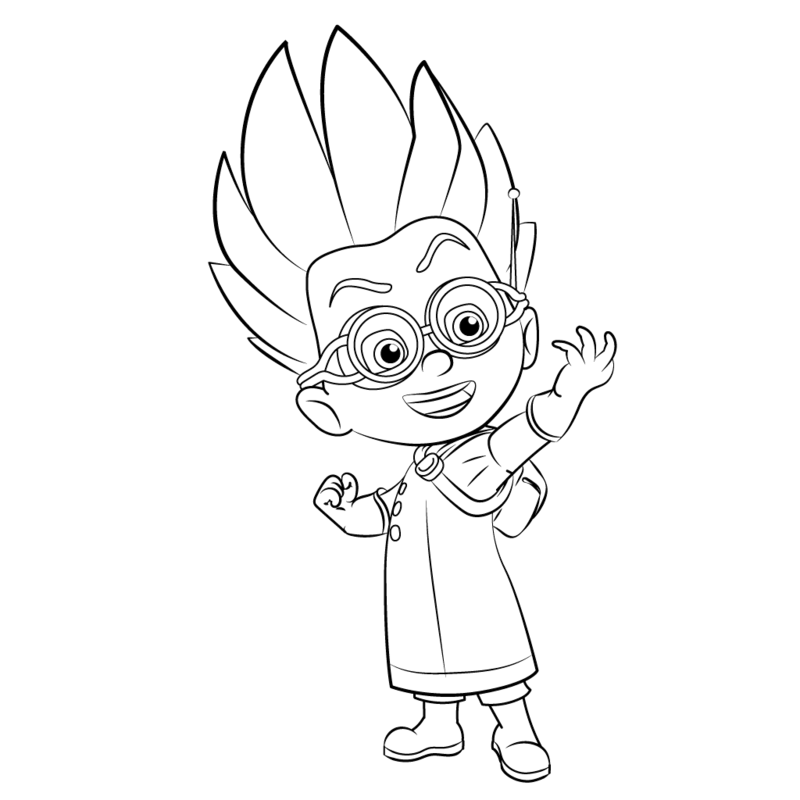 For those who have recently started writing and coloring can try their hands on this lovely PJ Masks logo coloring page. The written part is relatively easier to fill, but the three tiny masks can be a bit difficult. 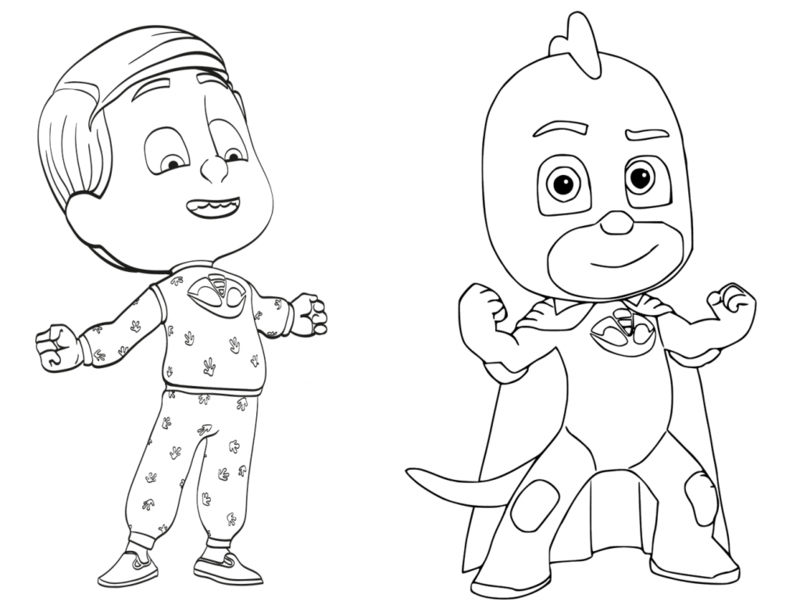 Here’s another beautiful coloring sheet of the PJ Masks gang, featuring the three major characters of the series. While the trio is highly enthusiastic about saving the world, their personality issues come in between their quest. But they quickly realize and learn from their mistakes and try to not repeat the mistakes. These lessons are primarily meant to teach the viewers about the basic values of life. The PJ Masks gang is all set for the holidays. Each of the members in this coloring page is carrying a gift package, probably for each other. Isn’t that cute? The trio seated in the Gekko mobile is completely freaked out. It seems that danger is awaiting them and they have no clue as to what to do. Perhaps you can help them find a way by filling colors in this image. It seems that it’s Catboy’s birthday and he’s all set to cut the cake. But something is definitely wrong, as we can sense from the picture. What could it be? 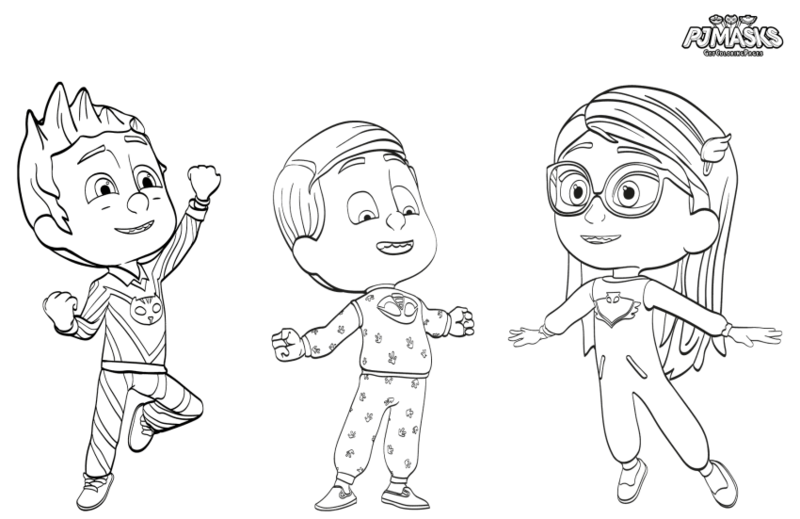 The PJ Masks gang very excited in this coloring page. It seems that they’ve managed to defeat their biggest enemy. 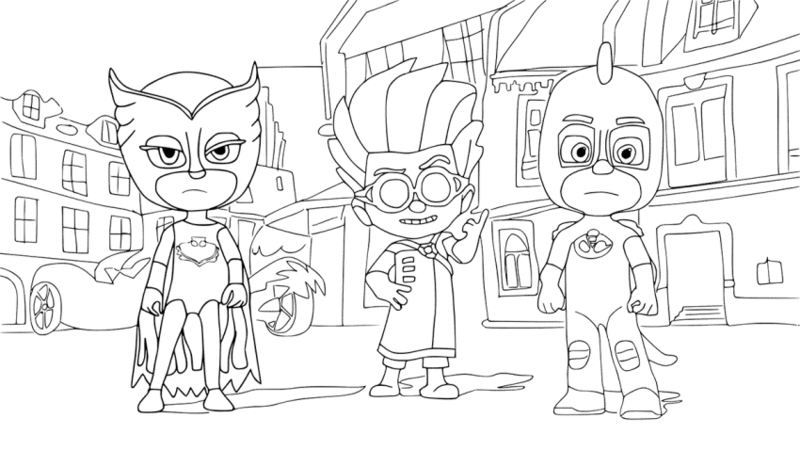 Here’s another coloring page of the famous trio of “PJ Masks” series. These tiny superheroes seem to be major fans of Batman, because just like him, even they stop and fight the villains at night. The PJ Masks members’ happiness is truly infectious. We’re all smiles just by looking at this coloring page. It features Gekko and Owlette with their respective toys and Gekko without any, because he doesn’t have any. Every television or cartoon series has villains and PJ Masks is no different. 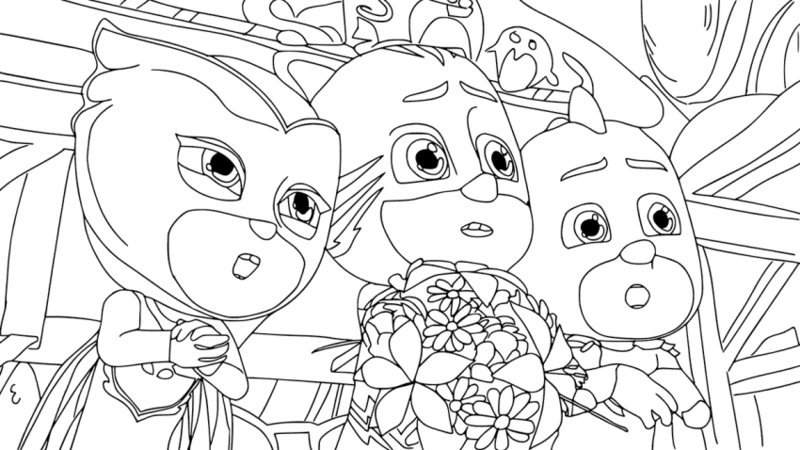 In this coloring page we see the three deadly villains of this series, Luna Girl, Romeo and Night Ninja. 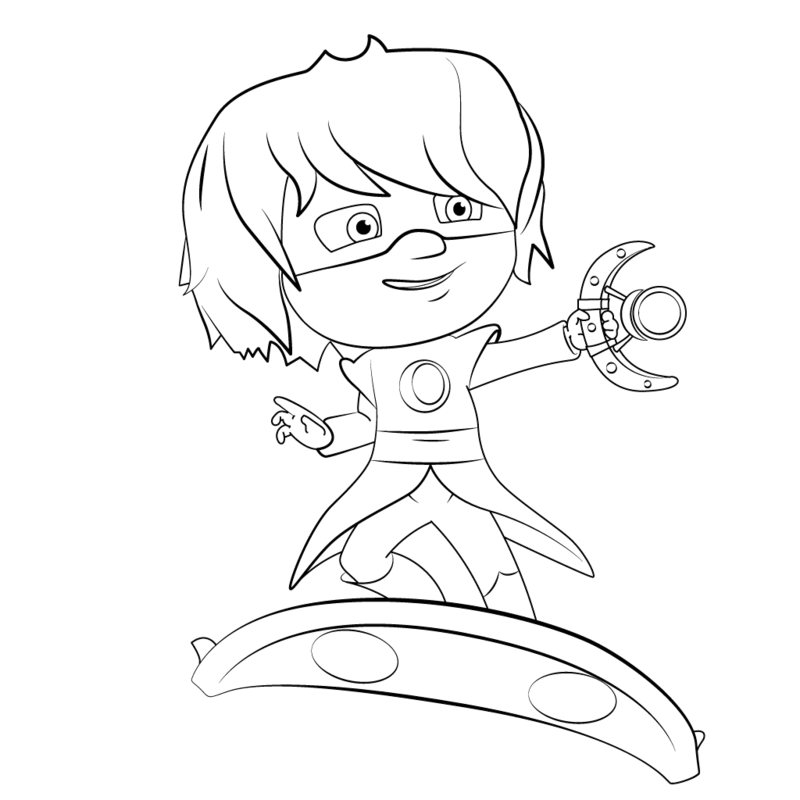 This coloring page features Luna Girl, the villain who uses her moon shaped device to control everything. She even he a swarm of moths who help her in her evil deeds. Her aim in life is to get all the daytime things for herself. 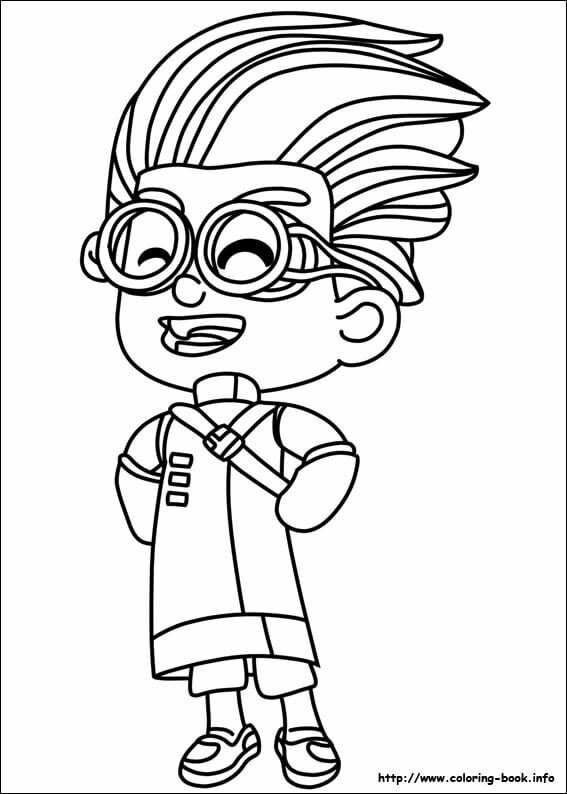 Here’s a coloring page of Romeo, the young, evil scientist who wants to dominate the world with his robots. He is the main antagonist of this series. His latest ambition is to capture his enemies, PJ Masks and take over the world. Meet Night Ninja, a black flipping ninja who wants to show everyone how great he is at everything. He has a team of Nijalinos which help him take all valuable assets of the city. 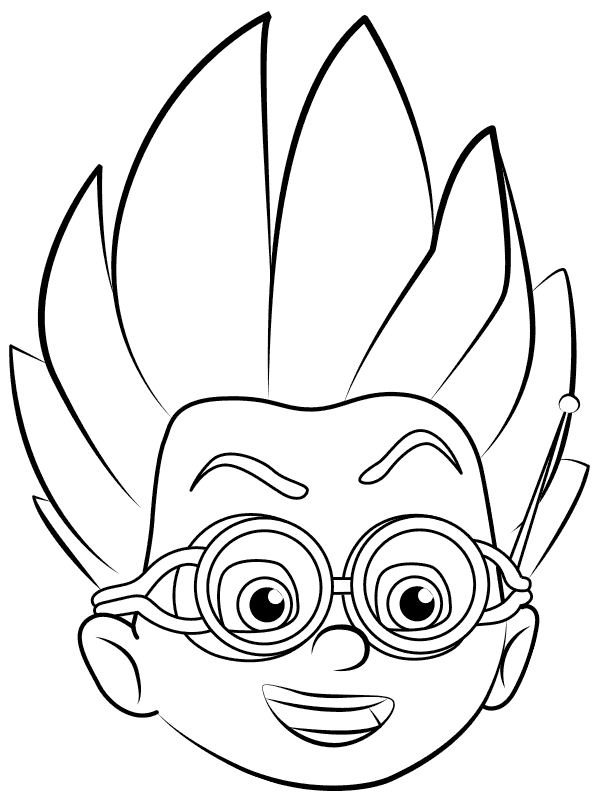 We’ve got you another coloring page of Romeo, an intelligent but evil folk who is hell bent on taking over the world. Despite hating PJ Masks ardently, he does not get very violent with them. The Night Ninja has no aim or motive, except for the fact that he wants the world to know how great he is in his moves and tricks. 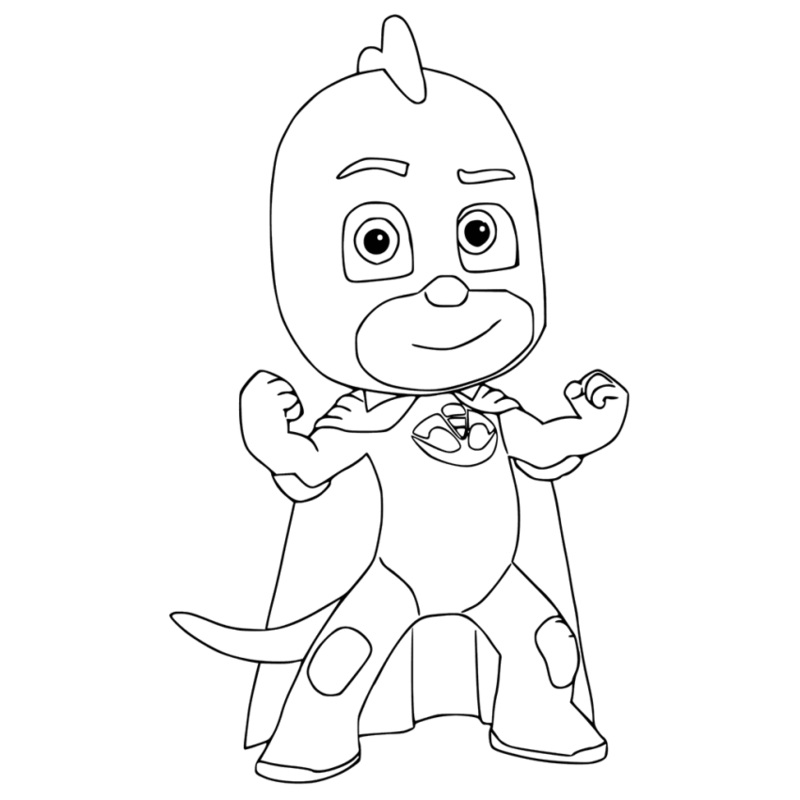 Here’s a unique coloring page from PJ Masks series, featuring Firefly, a villain who never made to the series. He was supposed to be a black colored creature with pink hair and wings. 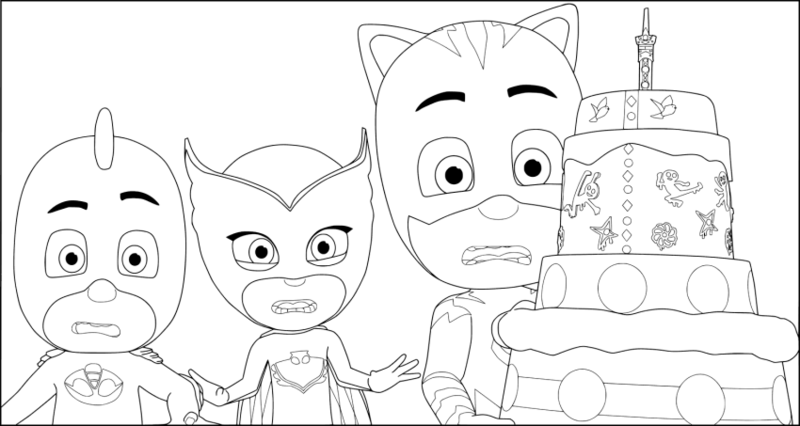 Here’s another coloring page of Luna Girl, Night Ninja and Romeo, the villains of the series. You may hate them as much as you want, but it’s these guys who bring excitement to the show. Why is Romeo laughing in such a weird manner here? His sinister laugh suggests that either he’s up to something or has finally achieved his goal. It seems that Gekko and Owlette have finally managed to capture Romeo? But why are they looking so miffed with him? Probably because of this sinister laugh. 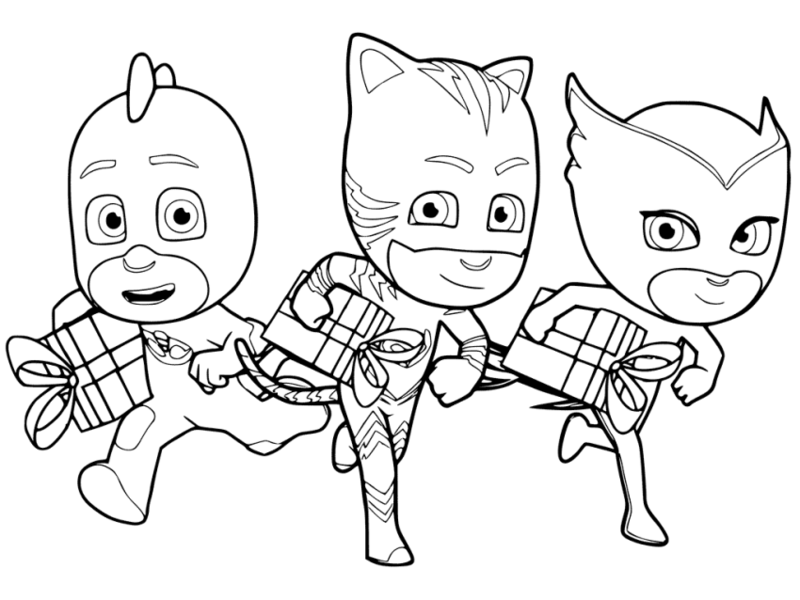 Here’s a coloring page of the Pajama Heroes, our very own PJ Masks gang, featuring Owlette, Catboy, and Gekko. During the day, these 6-year-olds attend school, just like kids of their age. But at night, especially when something goes wrong in the city, instead of going to sleep, they get their pajamas on and transform into superheroes. 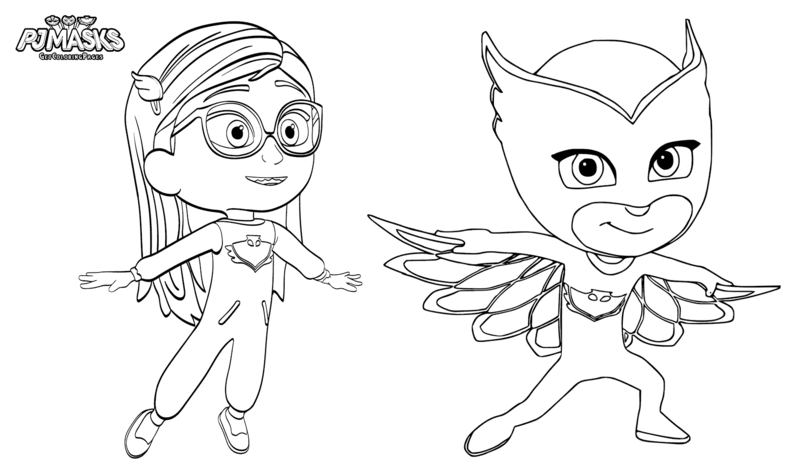 We hope you liked our gallery of printable PJ Masks coloring pages. Please feel free to print out as many as you want. Until then, happy coloring!